If you're a committed carnivore, it can be tough to tear yourself away from eating meat, especially if you tend to eat it every meal. But those who eat a vegetarian diet or live a vegan lifestyle know that they can open up a whole world of delicious fare. All manner of new ingredients and options present themselves, many of which might surprise you with their deliciousness. If you're cooking for a dinner party and really want to impress your guests, no matter how fussy they are, or you're looking to cut down on your meat intake, here are five veggie and vegan recipes so good, you or whoever you're cooking for won't be missing the meat anytime soon. 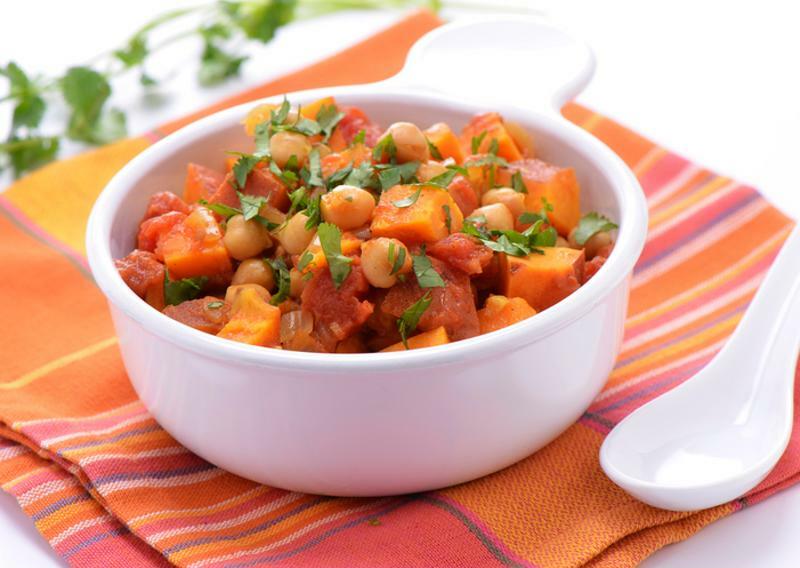 A bit of a go-to for veggies and vegans, a hearty stew is something everyone should have in their meal-making arsenal. Rustic, simple and delicious, it's also an easy way to fill loads of empty stomachs and still have them coming back for more. Plus, it's absolutely packed with nutrients and healthy stuff like spinach, sweet potatoes and butter beans, so you know you're getting plenty of nutritious, feel-good fuel in you too. This recipe uses cumin and ground coriander for an aromatic kick, with smoked paprika for added pungency. Lemon juice brings out the intensity of flavour, while chopped coriander finishes things with a fresh, piquant garnish. This stew is a go-to meal for veggies and vegans. Annabelle, from the Flexitarian, had this to say about her delicious recipe: "It's one of my favourite meat-free meals, because it's a hearty, vegan and gluten-free dish that's bursting with goodness and delicious flavours. It's always a crowd pleaser and quantities can easily be adjusted to suit large or small groups of people. Eat it on its own, or pair it with some wholegrain rice, couscous, quinoa or barley. My kids love it too and it makes excellent leftovers for lunchboxes the next day." Thai food lends itself exceptionally well to meat-free meals. 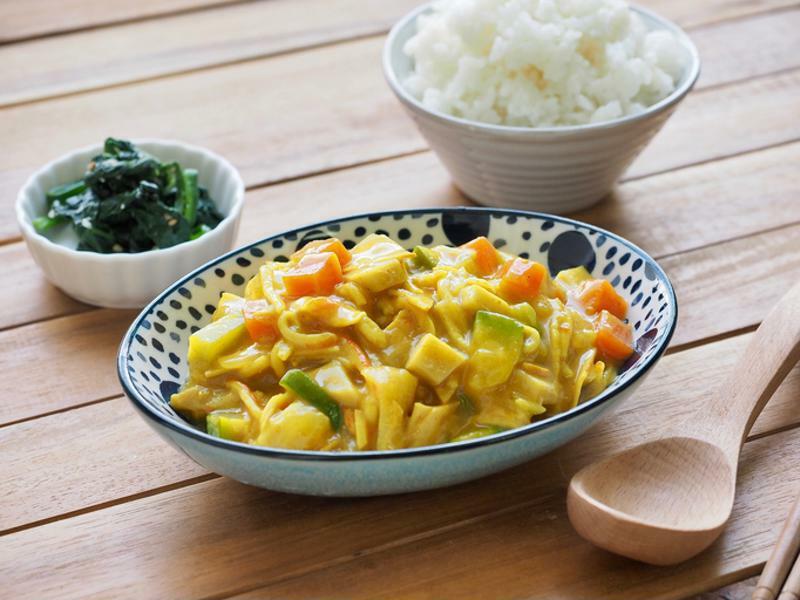 Even in the absence of meaty ingredients such as chicken, beef or pork; the potent, aromatic flavours and scents make Thai dishes a real treat, and this vibrant yellow curry is no exception. Quick and easy, it's done in 20 minutes, so it's great for those midweek meals when you don't fancy pushing the boat out. Despite looking like something that needs lots of exotic ingredients from world food stores, you'll likely already have everything needed in your cupboard too. The flavours here are superb, from the creaminess of the coconut milk and the sharp kick from the ginger, to the delicious saltiness of the veg stock. Pair it with jasmine rice for that extra special Thai touch. Embrace Thai flavours with this curry dish. If you're cooking for a big group of people, a lasagne is never a bad idea, and this veggie version is a real showstopper. Regular meaty lasagnes tend to get a bit boring, but this one is sure to bring a smile to the face of even the most ardent of meat eaters, thanks to its spinach and ricotta cheese sauce. Artichokes are a highlight here, adding a robust, almost-meaty texture to the dish, so they're well worth trying to track down before you make it. Plus, making your own tomato sauce is a handy, versatile thing to be able to whip up and can be used in loads of different recipes if you need a quick fix. It wouldn't be a list of veggie and vegan recipes without the staple veggie burger; plus, meat or not, who doesn't love a burger? Black beans are packed with protein and really help to add to the meatiness, so it's an excellent transition meal for those wanting to make the move into veggie-dom. Couscous 'beefs' things up while the cumin, thyme, and red onion flavour the rest up nicely. Serve with lettuce, sliced avocado and more red onion for that classic burger taste. 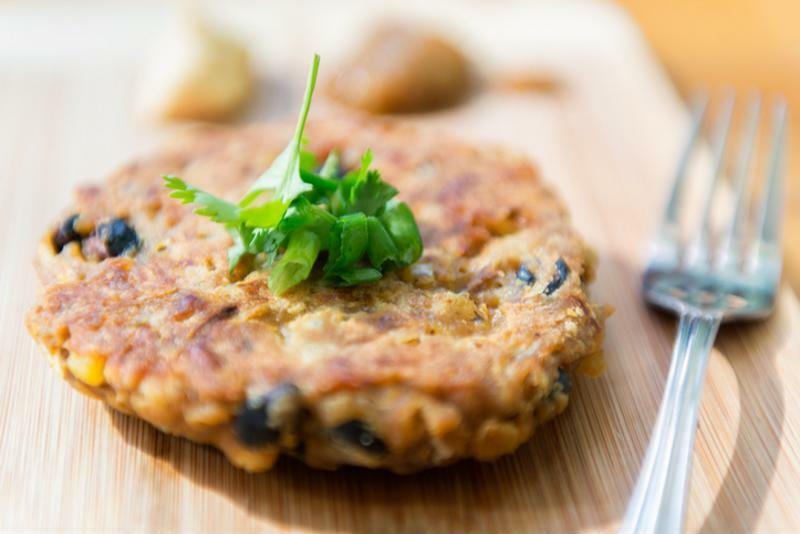 Forget traditional burgers and try one made with black beans. 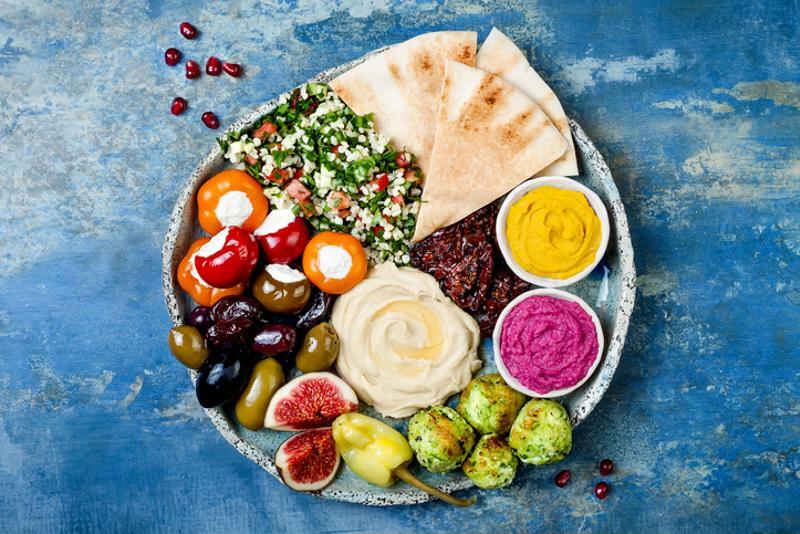 Finally, the veggie platter to end all veggie platters, the iconic mezze has long been a favourite across Greece, Turkey, Lebanon and the Mediterranean in general. This one is perfect at dinner parties as it really brings people together, and what's more, because nothing is really standing in or mimicking meat, it's a pure example of veggie (or vegan if you do it without cheese) food. Jacqueline of Tinned Tomatoes sang the dish's praises to us, saying: "My favourite vegan meal has to be a Lebanese-style mezze. Delicious freshly-cooked flatbreads, with garlicky hummus and baba ghanoush for dunking; a selection of salads including tabbouleh with a zingy lemon and herb dressing; crispy spiced falafel all served with some refreshing mint lemonade. Just perfect and such a fabulous meal to share with friends." This is the veggie platter to end all veggie platters. You don't always have to go with the traditional style either. Mandy, of Sneaky Veg, says "If I'm looking for a crowd pleaser then I usually turn to cuisines that naturally make wonderful vegetarian food - my favourites are Indian or Middle Eastern. A mezze-style meal with lots of different dishes, served in bowls in the centre of the table works perfectly when feeding a lot of people - particularly if there are children around, too. A selection of veggie curries, with sides of bread, rice, raita and vegetables also works brilliantly as a crowd pleaser". Next time you're having a veggie feast, make like the Greeks and offer gifts for you everyone to gorge on, meat-eater or not. If you're looking to help these recipes last a little longer, they can all be stored using the FoodSaver vacuum sealing system, so you can save money and reduce food waste. For more information about our innovative vacuum sealers, visit our homepage.